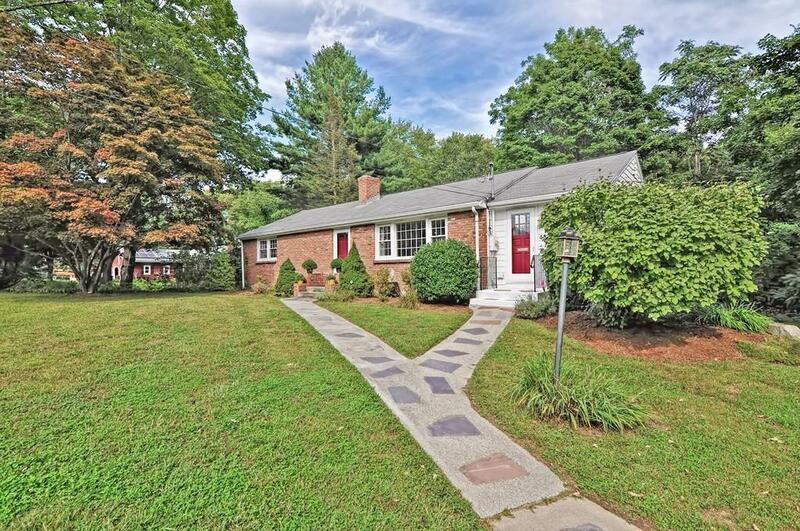 This spacious ranch with a 2 car garage offers easy living and an open floor plan, plus a premier location on lovely Baker Street - close to the commuter rail, shopping and major routes. The beautiful updated kitchen features granite counters, stainless appliances, large island and open dining area. Wonderful and inviting living/family room with gorgeous fireplace and built-ins, hardwood floors and large windows, welcoming the natural light in. Fabulous home office or den with wall of windows, separate entrance and very large pantry that's ideal for storage, electronics or even another room! Master bedroom easily accommodates a king size bed, and offers a wonderful built-in closet system; second bedroom upstairs is spacious and bright. The full bath with new vanity & granite counter complete the main level. The walkout lower level offers 500sf+ of flexible space, with a game room, bedroom and a full bath. Gorgeous yard; brick patio w/pergola. New, state-of-the-art heating system!